Big year for Football Cards as many top Quarterbacks are headlining the 2018 NFL Draft. 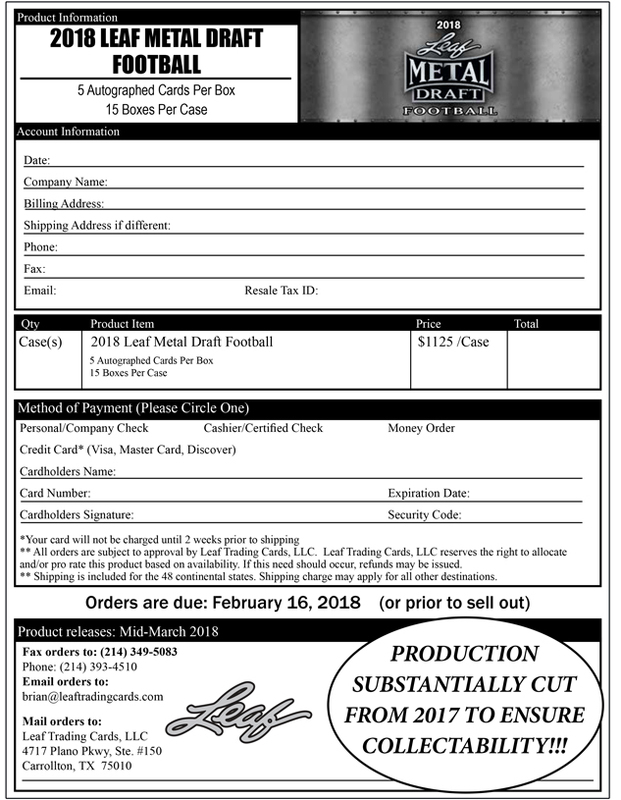 Leaf Metal Draft is one of the first releases each year along with offerings from Press Pass and Sage. 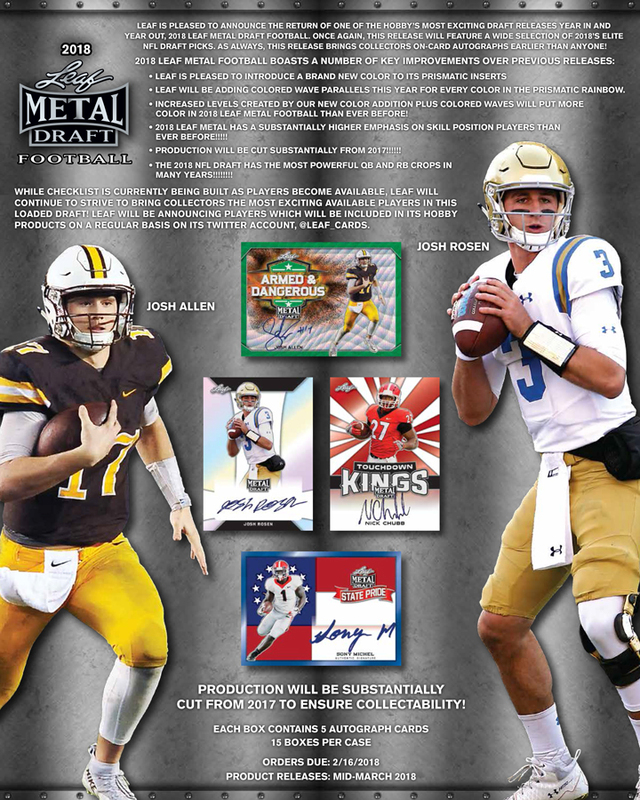 Top rookies include Josh Rosen, Sam Darnold, Saquon Barkley, Baker Mayfield, Josh Allen, Lamar Jackson and many more. Now that the NFL combine is over, signed cards are rolling in at a crazy rate! While we must apologize that the product is not releasing as early as it has in previous years, we are excited with the quality of this years product. Not only is the player selection phenomenal, the addition of WAVE parallels and a brand new color to the mix will make the variety of cards collectors pull reach an all-time high. The good news is that ALL ON-CARD is harder than ever, but we are getting it done, better a little late than never. THIS PRODUCT IS SLATED TO RELEASE APRIL 6TH OR EARLIER!